Cuba Jungle Tiger Perfume by Fragluxe, Cuba jungle tiger by fragluxe is a refreshing, crisp fruity fragrance for women. This beautifully rich aroma contains a blend of citrus with alluring sweet spices and a gentle, subtle hint of lavender. 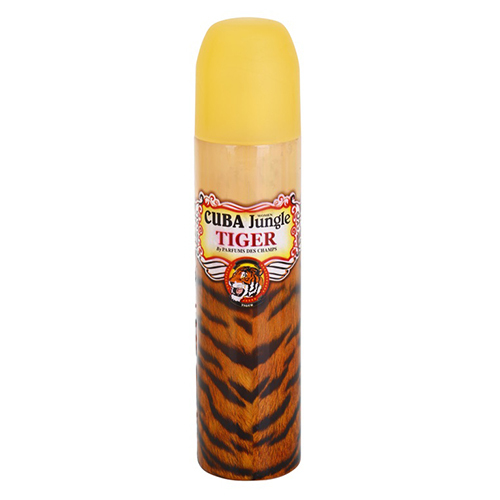 Cuba jungle tiger is recommended for daytime wear. The Cuba Jungle Tiger 100ml EDP Women's Perfume was added to the Women's Perfume category in February 2018. The lowest price GetPrice has found for the Cuba Jungle Tiger 100ml EDP Women's Perfume in Australia is $51.43 from Galaxy Perfume.